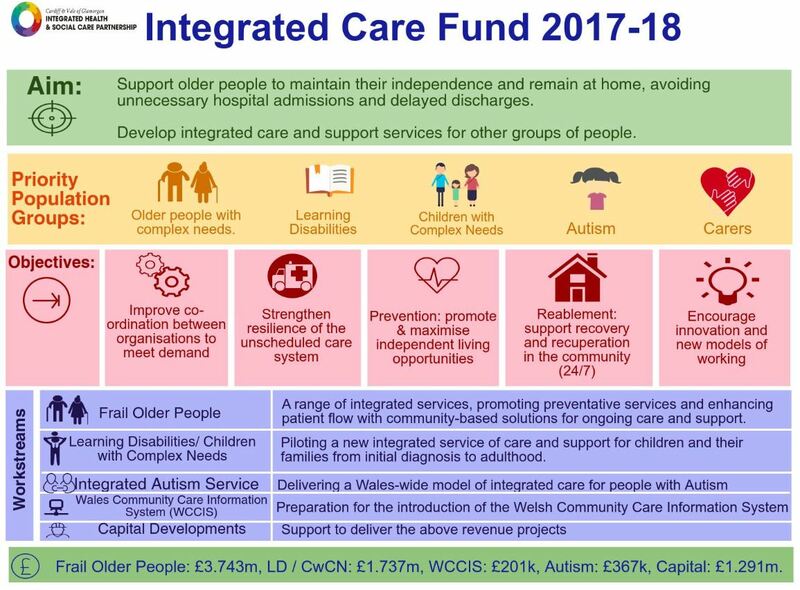 The aim of the Integrated Care Fund (ICF) is to drive and enable integrated working between social services, health, housing and the third and independent sectors. older people to maintain their independence, avoiding unnecessary hospital admission and preventing delayed discharges. implementation of an integrated autism service in Wales. The work of our partners helps avoid unnecessary admissions to hospital or residential care, and delays when someone is due to be discharged from care. 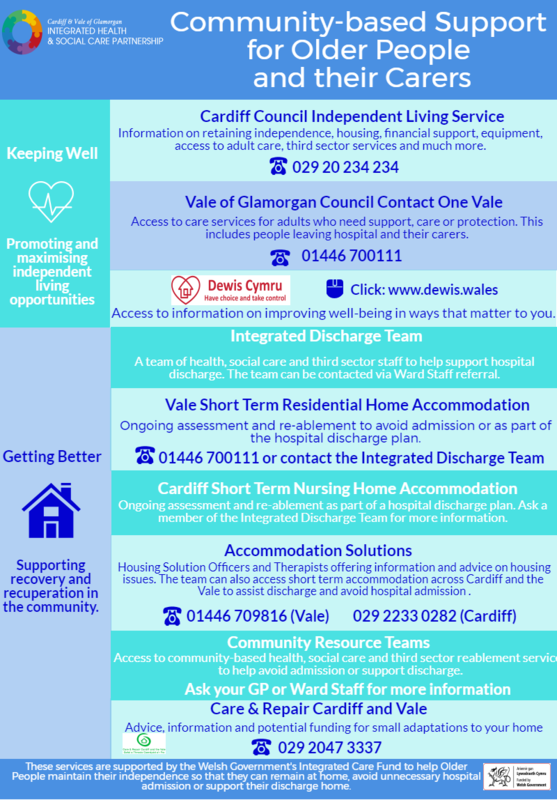 To find out how partners in Cardiff and Vale of Glamorgan are using the fund, please read the review report below and look at our case studies.